Experience Years of translation experience: 10. Registered at ProZ.com: Jul 2013. Became a member: Jul 2013. Professional practices Katarzyna Müller endorses ProZ.com's Professional Guidelines (v1.1). 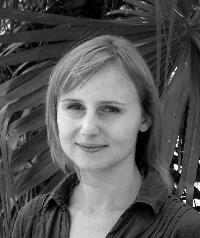 I am a professional freelance translator with extensive experience at both in-house and freelance translation. Languages are my passion, which is why I graduated in English studies in 2009 and Spanish and Portuguese studies in 2010. In the course of my English studies I had a chance to spend one year in Spain as an Erasmus exchange student at the University of Vigo (2007-2008), which is when I discovered the beauty of Spanish and Galician language. This experience inspired me to enroll in Iberian studies the very next academic year at my mother University. It also triggered my interest in translation and led me to participate in a 10-month internship at a translation agency in A Coruña, Spain, where I gained a lot of valuable experience and knowledge in the field of translation and proofreading for QA purposes. At the end of my internship (July 2010), I was offered a full-time contract. I continued to work there until September 2014, when I decided to become a full-time freelancer. ▪	E-commerce: websites and mobile apps, online marketing, corporate blog articles, product and services descriptions, privacy policies, terms and conditions of use, etc. ▪	Fashion and textile industry: e-commerce, product descriptions, campaigns, newsletters and online marketing, press articles, retail, etc. ▪	E-learning: compliance training (antitrust laws, anti-corruption policies, workplace policies), data security, etc. ▪	IT: network safety and administration, fibre optics and infrastructure, hardware, GUI, software, web and mobile apps. ▪	HR: training programmes, materials and study cases, employment regulations, dedicated HR software localisation, job websites. ▪	Business: corporate policies, codes of conduct, CSR, reports. ▪	Official documents: birth and marriage certificates, diplomas and academic transcripts, etc. ▪	Technical and engineering: safety data sheets, OHS, manuals (machinery, electronic, audiovisual and household appliances). ▪	Subtitles: for movies, TV shows, kids and teen shows, documentaries, corporate videos. ▪	Tourism/travel/hospitality: booking websites, reviews, newsletters, marketing copies.